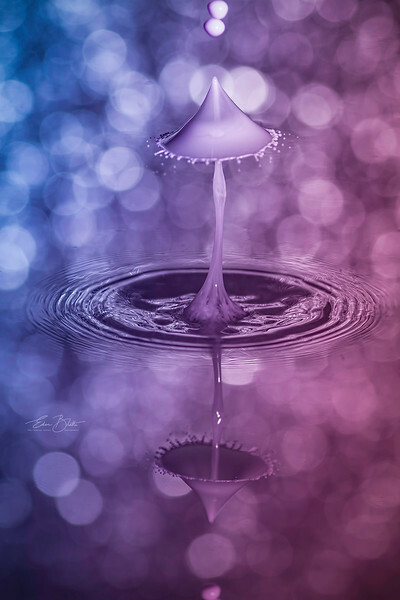 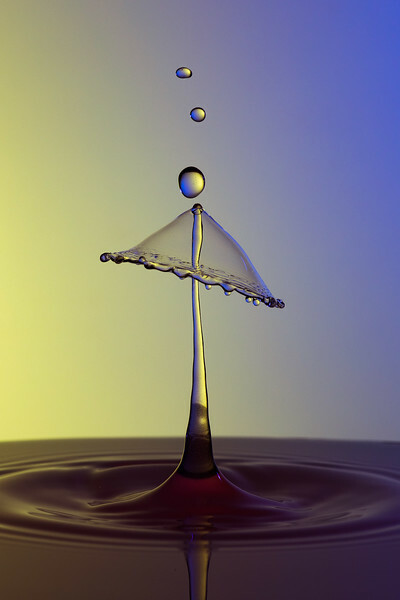 Liquid drops when collided forms amazing shapes and patterns. 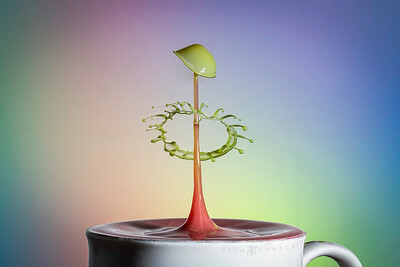 Liquid Collision on a Lens Mug. 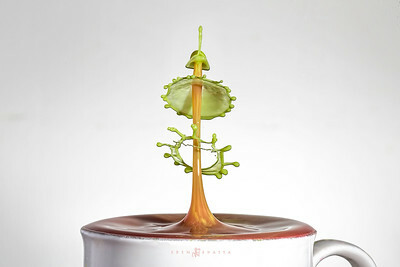 When I'm not shooting outdoors, I like to goof around in the kitchen. 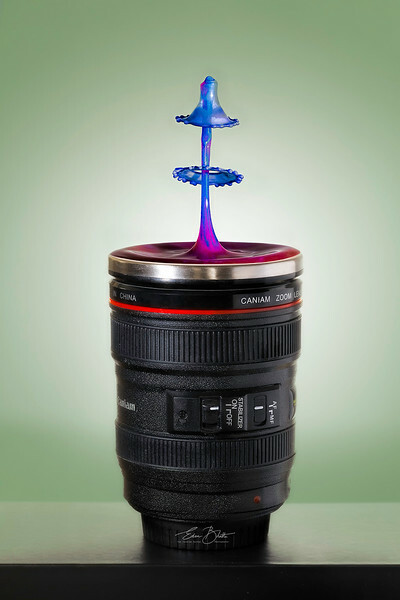 Its a cup that looks like a Canon L Lens and I thought of using it as a prop for one of my liquid collision photograph. 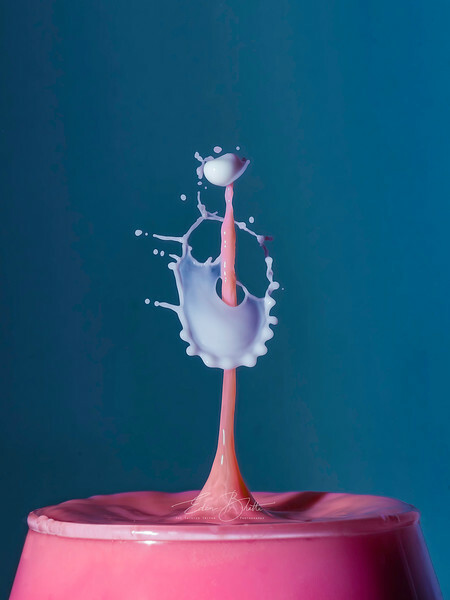 Food coloring was added to the liquid to make it more vibrant. 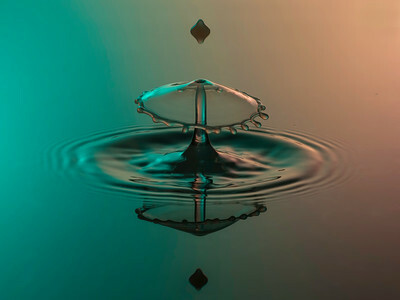 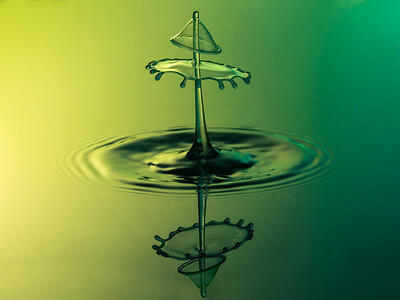 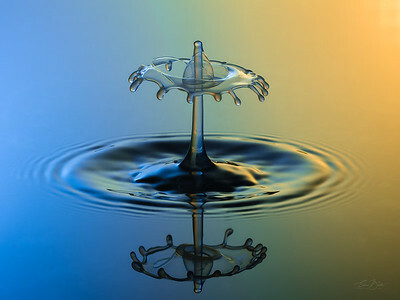 The shape you see is from two or more liquid drops colliding with each other.